Human medicines and veterinary medicines have an enormous positive influence on global health, prosperity and economic productivity by saving lives, increasing life spans, reducing suffering, preventing surgeries and shortening hospital stays. According to data released by the Ministry of Economy of Brazil, Brazil’s import of human medicines and veterinary medicines accounts for 3.72% of the total imports in 2018, ranking the 3rd of PPE (Principais Produtos Exportados, Main Products Exported) imports in 2018; and it also ranks the 3rd in the import of manufactured products in 2018 with the proportion at 4.38%. Import Weight of Human Medicines & Veterinary Medicines in 2014-2018 Data Source: Ministry of Economy of Brazil Import Value of Human Medicines & Veterinary Medicines in 2014-2018 Data Source: Ministry of Economy of Brazil Import Price of Human Medicines & Veterinary Medicines in 2014-2018 Data Source: Ministry of Economy of Brazil Through the above diagrams, we can see that there was a big rise in both the import weight and value of the human and veterinary medicines in 2018, with the import weight reaching to 39,248.44 tons, up by 16.4% compared with that of 2017, and the import value totaling at USD 6,749.79 million, seeing a 10.4% YoY increase. However, the average import price is USD 172 FOB / Kg, down by -5.2% compared with that of 2017. It is also shown that, import weight of human medicines & veterinary medicines is displaying a general decline trend from 2014 to 2017 despite of a weak rebound in 2015, and then achieved a stable growth in 2018. Meanwhile, the import value saw a decrease path from 2014 to 2016, sharp down by -13.7% YoY in 2015, but maintained a good momentum of growth from 2016 to 2018. As of its average price, it plummeted in 2015 compared that of 2014, drop by -16.4% year over year, and then rose again to 181.386 USD per kilogram in 2017, but decreased to 171.976 USD per kilogram in 2018. Top 7 Exporters of Human Medicines & Veterinary Medicines to Brazil in 2018 Data Source: Ministry of Economy of Brazil In 2018, Brazil’s imports of human medicines & veterinary medicines are mainly from Germany, USA, Switzerland, Italy, Belgium, Ireland and India, which reflects that the Europe and America remain to be the leaders in the medicine export market. Germany ranks first among the top 7 export countries, with the export value to Brazil amounting to USD 1.16 billion, representing 17% in the Brazil’s human and veterinary medicine imports, followed closely by USA and Switzerland, accounting for 16% and 11%, respectively. Given that market growth of medicines is shifting toward emerging markets in Asia, Latin America and elsewhere, where pharmaceutical sales are forecasted to expand at double digit rates. With the help of OKCHEM, you could easily make a way into overseas market and get more quality buyers for your pharmaceutical products. 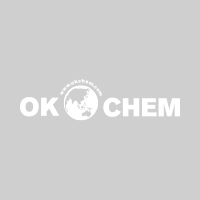 OKCHEM, as the most professional and leading B2B platform of chemicals, with 20 offices around the globe, we are always dedicated to offering a large basket of best solutions for both chemical buyers and sellers, with the objective of helping them grow business and go farther. For chemical buyers, we provide a wide range of quality-guaranteed products from the strictly selected manufacturers all over the world; for chemical suppliers, we provide a potential platform to reach a ton of buyers overseas and increase the sales. In the first quarter of 2019, China has exported 5.75 million tons and imported 3.46 million tons of fertilizers (including the ammonium chloride and potassium nitrate under HS 28, and all chemical fertilizers and mineral fertilizers under HS 31), increased by 44.6% and 4.0% YoY respectively. Main Fertilizers Export in Q1 2019 (Data Source: China Customs, China Fertilizer Web) According to China Customs, in the first quarter of 2019, main fertilizers from China such as urea, DAP, potassium sulfate, NPK and potassium chloride have all seen a positive growth in export volume. Urea is the fertilizer with the largest export volume at 1.31 million MT, seeing a 365.8% YoY increase. 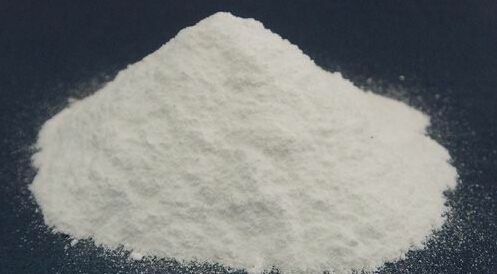 Though export of potassium sulfate is not large and kept at 35,900 MT, it has the highest YoY growth rate. Main Fertilizers Import in Q1 2019 (Data Source: China Customs, China Fertilizer Web) On the aspects of the main fertilizers import, the import weight of urea, DAP, potassium sulfate and NPK in the first quarter of 2019 have all seen a decrease while the import of the potassium chloride has seen a 7.7% increase. Main Fertilizers Export & Import in March 2019 In March, except for the potassium chloride which has a 15.6 YoY decrease, the export of other fertilizers have all seen an increase compared to the same period of last year. DAP is the fertilizer with the largest export volume at 390,000 MT in March. As the same situation in January and February, the potassium sulfate is still the champion in the export growth rate. (Data Source: China Customs, China Fertilizer Web) According to China Customs, China has imported 820,000 MT of potassium chloride in March. Though it is the fertilizer with the largest import weight in March, it still has a 0.5% decrease compared to the same period of last year. Overall imports of (PE) into Belarus decreased by 11% year on year in the first two months of 2019, reaching 18,000 tonnes. Local companies reduced their purchasing of high density polyethylene (HDPE) and linear low density polyethylene (LLDPE) increased, according to MRC"s DataScope report. According to the National Bureau of Statistics of Belarus, February 2019 PE imports to Belarus dropped to 8,900 tonnes from 9,200 tonnes a month earlier. Local companies reduced their HDPE purchasing in Russia and Ukraine. Overall PE imports were slightly over 18,000 tonnes in January-February 2019, compared to 20,200 tonnes a year earlier. Demand for HDPE and LLDPE subsided significantly, whereas demand for high density polyethylene (HDPE) increased. The structure of PE imports to Belarus by grades looked the following way over the stated period. February 2019 total LDPE imports rose to 3,200 tonnes from 2,800 tonnes a month earlier, local companies increased their purchasing in Russia and Azerbaijan. Overall imports of this PE grade into Belarus totalled 6,100 tonnes in the first two months of 2019, up by 5% year on year. February HDPE imports were 2,900 tonnes, compared to 4,300 tonnes a month earlier. Local companies reduced their purchasing of film grade PE in Russia and Ukraine. Thus, HDPE imports totalled 7,200 tonnes over the stated period, down by 28.3% year on year. Overall LLDPE imports reached 4,700 tonnes in January-February 2019, whereas this figure was about 6,400 tonnes a year earlier.